When Paige came downstairs this morning, she hopped a little on her feet. “Why is the floor so cold?” she quipped. Then she sat on the kitchen stool and said, “The stool is cold too!” Fall is coming, and it’s starting to show in the cool overnight temperatures and crisp morning air. Yes, it’s still technically summertime, but it’s just the nature of things … summer quietly exits as fall swooshes in. I’m kind of excited for fall — and especially the fall baking that inevitably happens. As much as I love the fresh produce of summer (and I really, really love fresh summer produce), there’s something absolutely amazing about warm baked goods and all the scents and flavors that fill the house. Swoon. 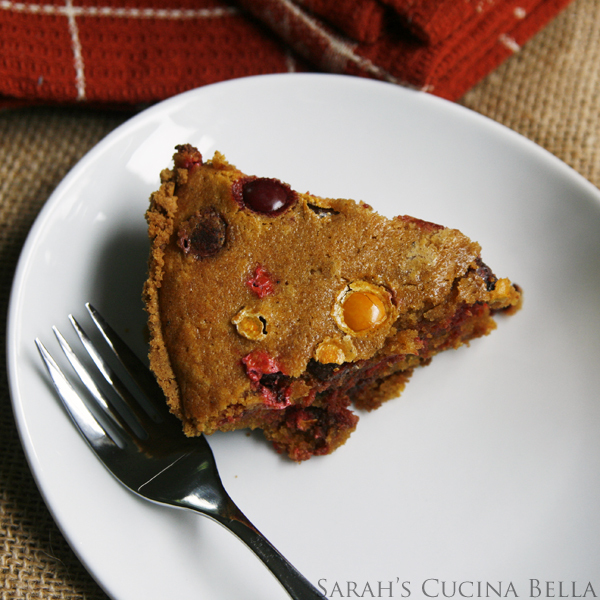 And speaking of fall baking, you need to try this Pumpkin M&M Cookie Pie. It’s a heavenly mix of fall flavors. It’s the kind of pie that disappears super fast whenever you bake it up. 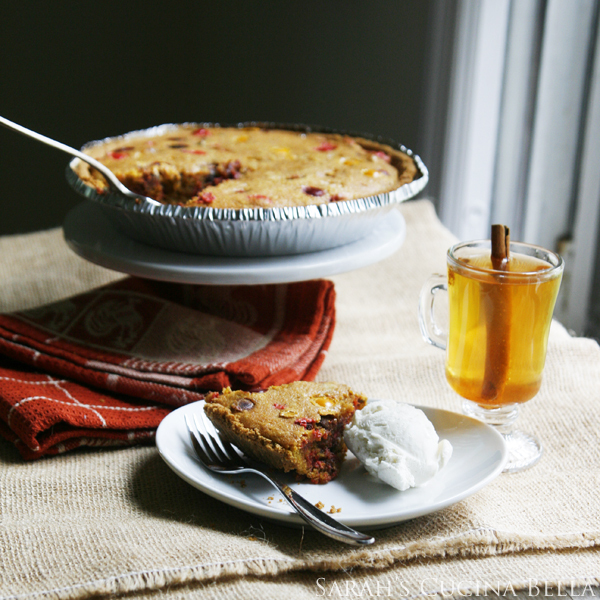 When I was creating this recipe, I knew I wanted to make a cookie pie — one of my favorites. But then pumpkin came to mind — it seemed like a perfect fit. Sure, a cookie pie with fall colors is fun — but a pumpkin cookie pie with fall colors is even better. I mean pumpkin recipes totally scream fall, don’t they? And who doesn’t love a good, fresh, warm pie at this time of year? 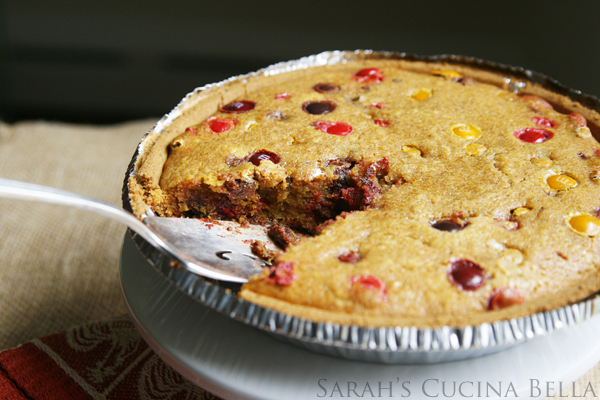 Pumpkin M&M Cookie Pie is like a giant, moist pumpkin cookie dotted with M&Ms and served in a graham cracker pie crust shell. It’s a decadent treat best served warm — with a scoop of vanilla ice cream, natch. Don’t you totally want to just dig right in? 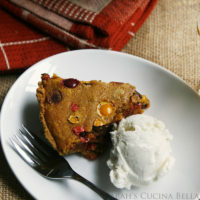 And what’s the perfect fall drink to go with this fabulous fall pie? 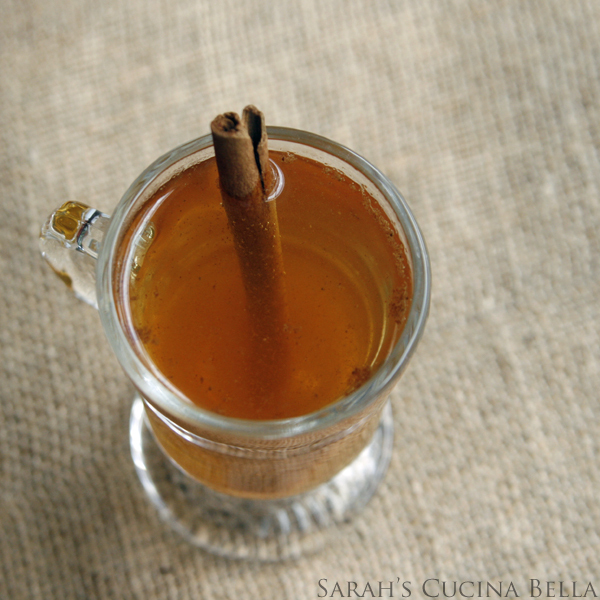 Hot apple cider! Okay, so this isn’t cider … but it is a fabulous hot apple drink. Here’s how you make it: Start with Mott’s Apple Juice (the 100% juice kind), and warm it on the stove with a sprinkle of pumpkin pie spice and a drop of vanilla extract. Serve it with a cinnamon stick. What’s great about this is that it’s a very flexible recipe — don’t have pumpkin pie spice? Use apple pie spice instead! Or just use a little ground cinnamon. In the bowl of a stand mixer, cream together butter with the granulated and light brown sugars. Add the pumpkin puree and eggs and mix well. Sprinkle with pumpkin pie spice and mix well. With the stand mixer running on low, add the flour a little at a time until fully incorporated. Use a rubber spatula to scrape down the sides of the bowl to ensure that it mixes completely. Bake the pie for 50-55 minutes, until a toothpick inserted into the center of the pie comes out clean. The pie is best served warm with vanilla ice cream. I am READY for pumpkin season..this looks terrific! I love that this is a deep dish cookie, as opposed to those flat cookie cakes. I love pumpkin and chocolate, so…yum!